LNER A4 4-6-2 No. 60008 "Dwight D. Eisenhower" has recently been temporarily repatriated from the USA in order to participate in July's celebrations of the 75th anniversary of classmate "Mallard's" 126mph world speed record. 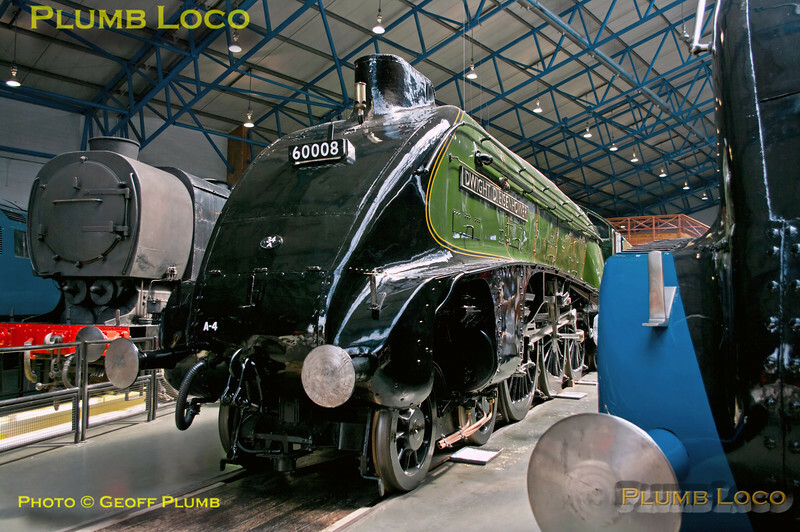 After being cosmetically restored the engine is on display by the turntable in the Great Hall of the National Railway Museum in York, alongside No. 4468. Thursday 2nd May 2013. Digital Image No. GMPI15415.